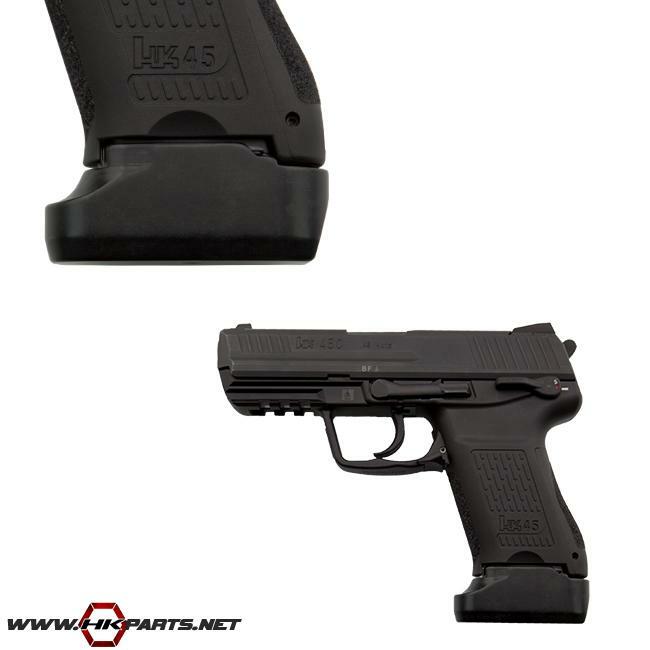 Be sure to check out our new offerings of HK 45C 8 round +2 mag extensions available on our website! These replace the floorplate for a +2 round addition for a total of 10 rounds in the magazine. Machine from solid billet aluminum, hard coat anodized black. Simple to install. Ultra durable, sleak and ergonomic to flow with the lines of the HK45C pistol. Order on our website or by phone. Thanks for looking! Click here to visit our website to view more HK parts & accessories.